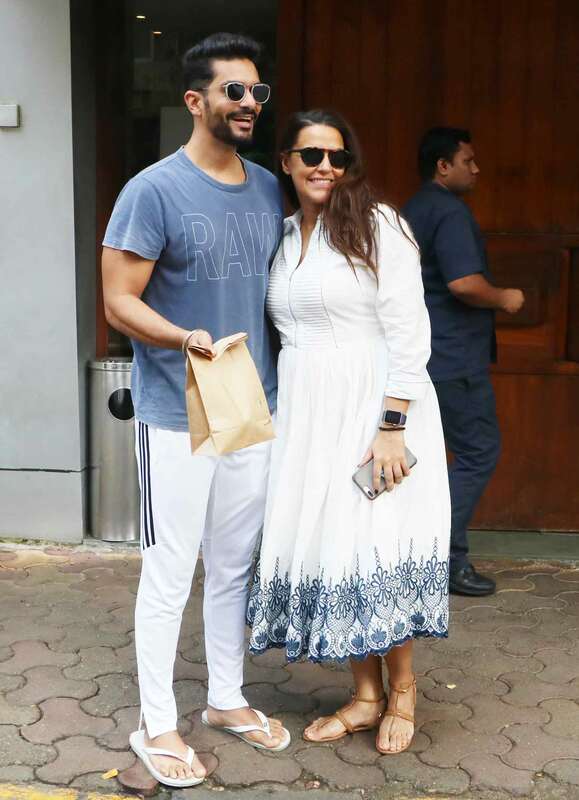 Bollywood couple Neha Dhupia and Angad Bedi, who are expecting their first child, were photographed on a lunch date making the most of their rainy afternoon. 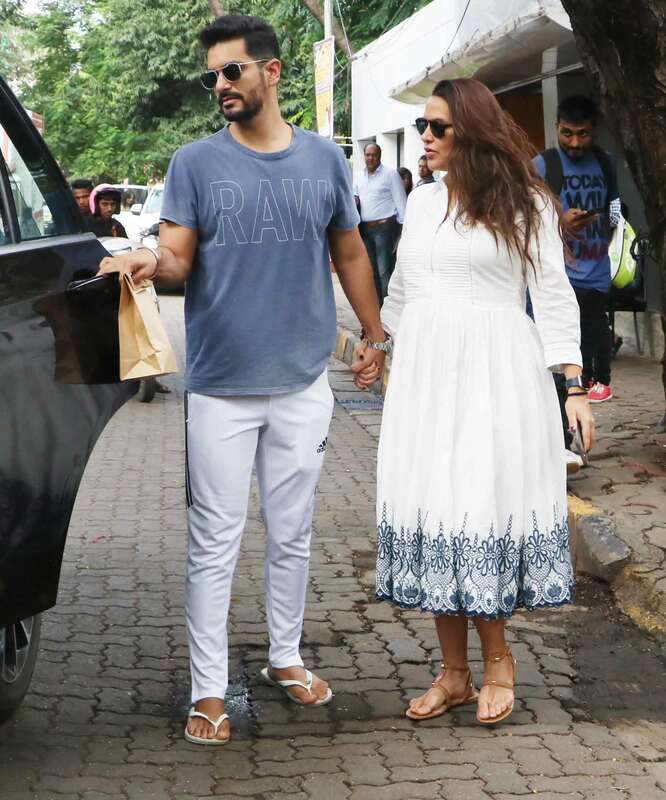 Neha, who is expecting her first child with Angad, was seen flaunting her pregnancy glow in a short white stylish dress. She complemented her look with black sunnnies, a black strap watch and pair of tan-thong flats. 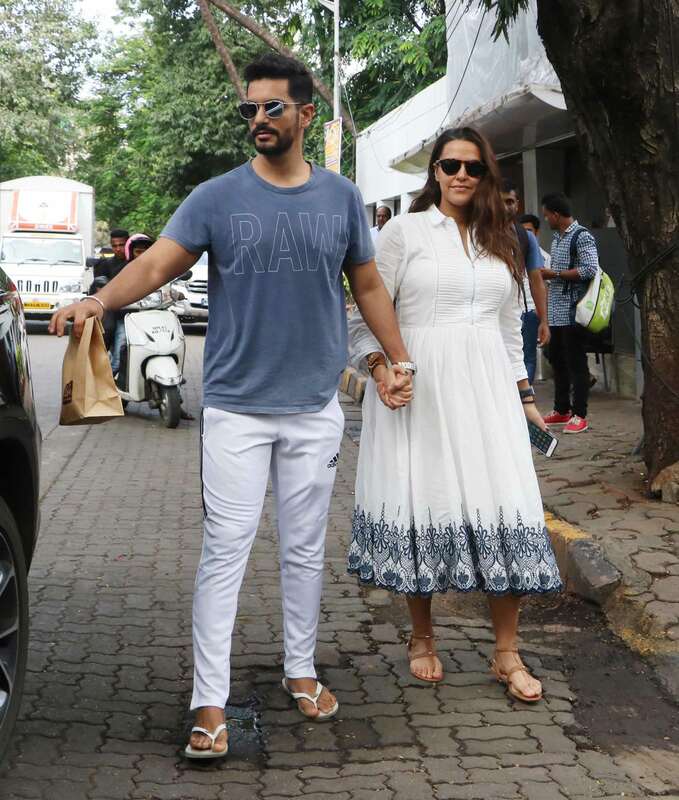 The two were seen walking hand-in-hand as they made their way to the car, besides posing for the paps. 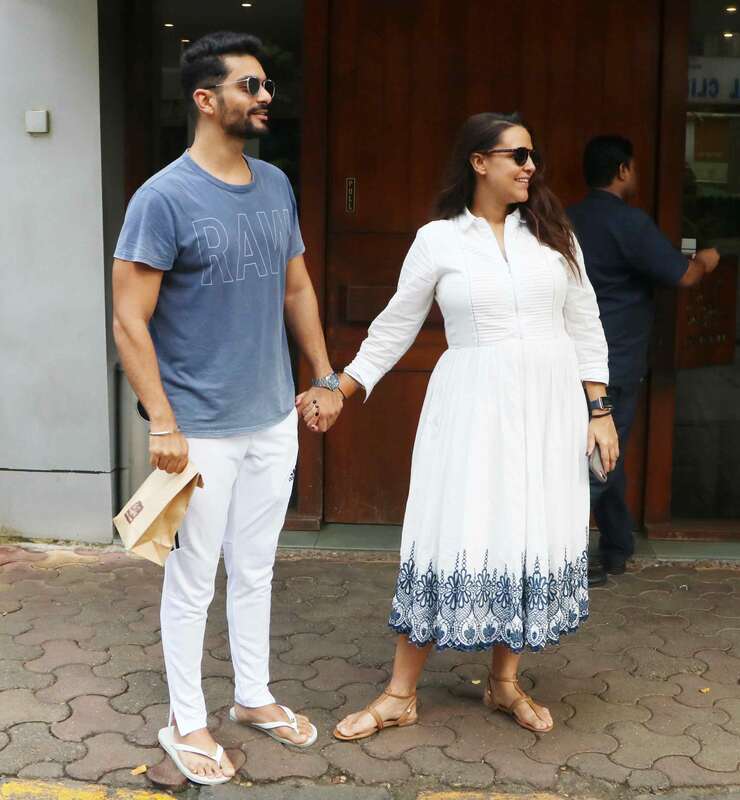 Neha and Angad got married in a private Sikh ceremony at a Gurudwara in Delhi in May this year amid heavy speculations of the former Miss India's pregnancy. 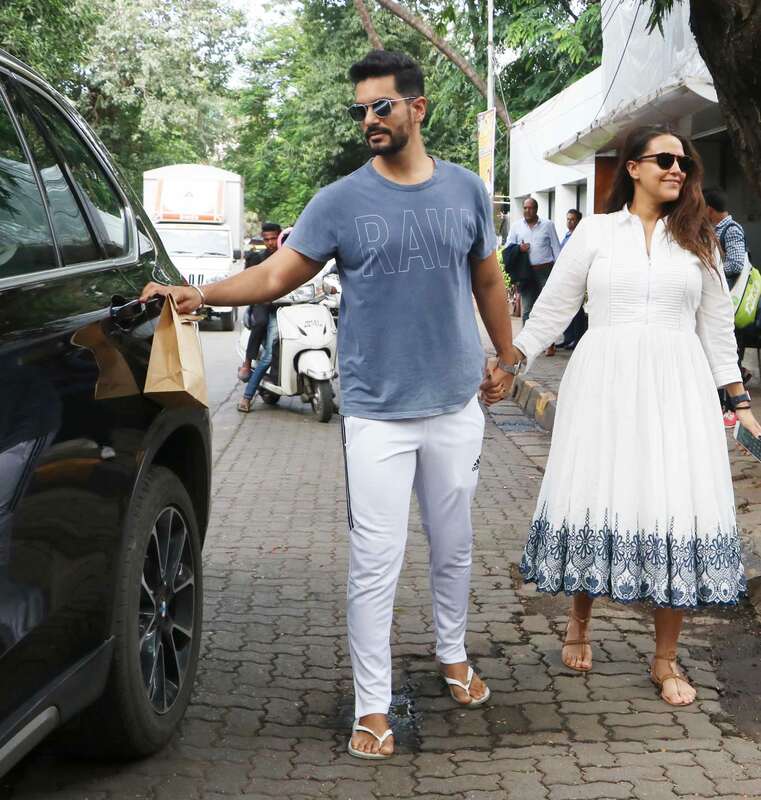 For over two months, the couple kept denying the news while the actress' appearance in public spoke an altogether different tune. 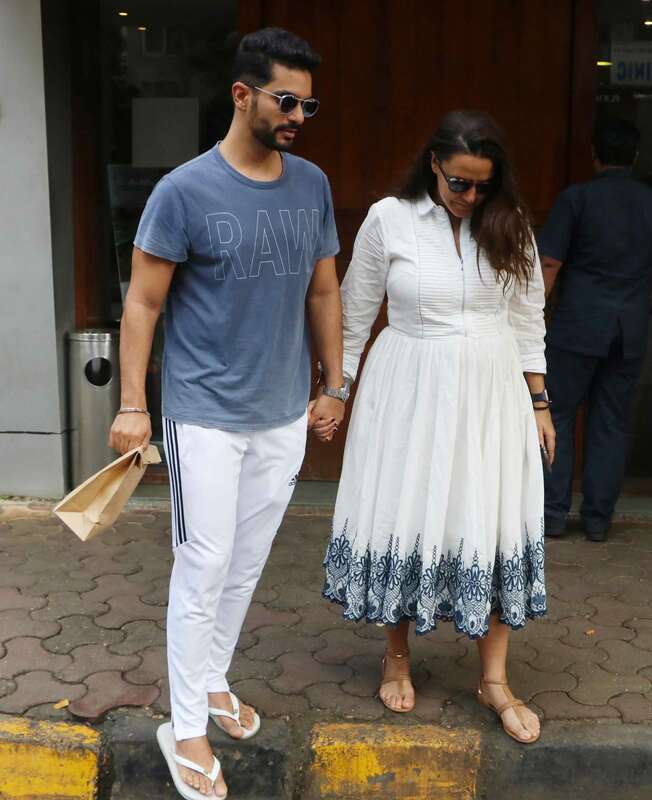 Neha, was most of the time, spotted wearing over-sized outfits and layered dresses, hinting at something unusual. 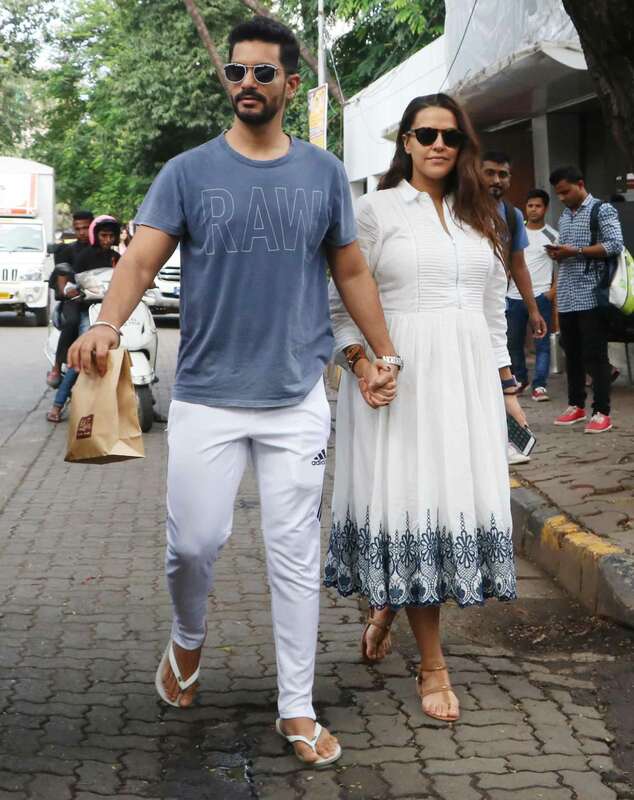 Despite rumours of Neha's pregnancy becoming one of the most talked-about subjects on the social media, the couple remained tight-lipped and it was until a few days back that Angad took to Instagram to announce that the rumours were actually true. 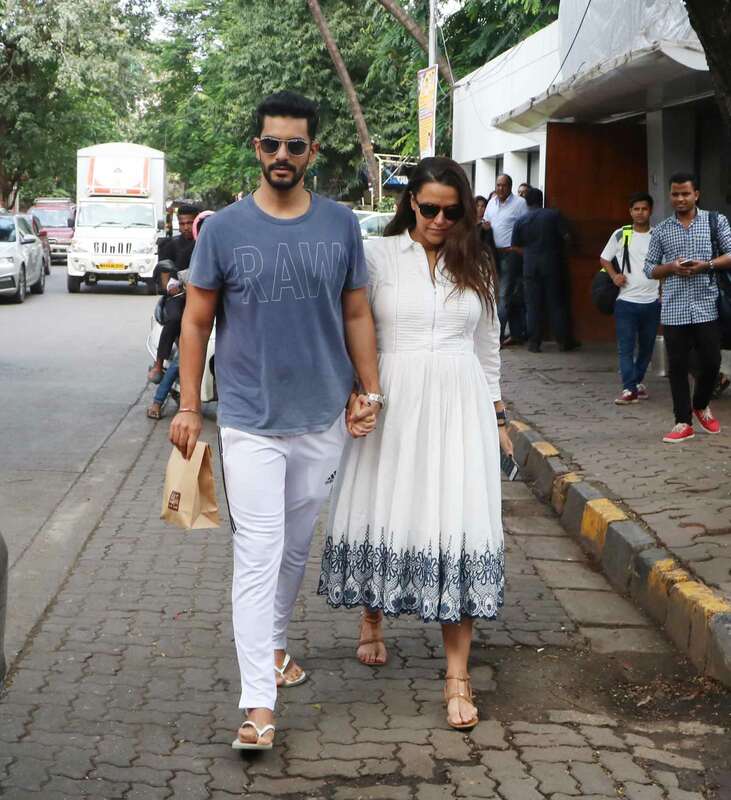 He also shared a photo of Neha in which her baby bump was quite visible.